Recognizing the importance of youth leadership and engagement in the HIV response, UNAIDS launched a unique, open and democratic online policy process, CrowdOutAIDS in October 2011. 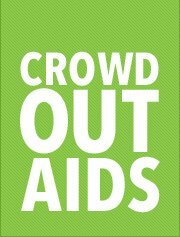 CrowdOutAIDS enabled more than 5000 young people around the world to take part in shaping UNAIDS’ youth agenda. As a result of the robust and informative discussions from CrowdOutAIDS, in April 2012, a set of recommendations for how to increase youth leadership in the AIDS response were presented to UNAIDS’ Executive Director Mr. Michel Sidibé. The CrowdOutAIDS recommendations consist of six strategic priorities with related key actions. The recommendations aim to contribute to achieving the targets set in the2011 Political Declaration on HIV and AIDS by increasing youth leadership, ownership, and mobilization in the AIDS response by 2015, and beyond. The CrowdOutAIDS recommendations covered a range of issues that young people have identified as priorities. One of the recommendations called for the UNAIDS Secretariat to establish a youth advisory body. In alignment with this recommendation, UNAIDS will establish a Youth Advisory Forum (“Advisory Forum”) and is currently seeking applications of interest for membership on this forum. Provide strategic advice to the UNAIDS Secretariat on policies and programmes related to young people and HIV. Update the UNAIDS Secretariat on emerging developments within the youth and HIV movements at local, regional and international levels. On a yearly basis, provide a short summary analysis including key recommendations and follow up actions to strengthen the UNAIDS Secretariat ability to work with and for young people in reference to advocacy and leadership within the global AIDS response, to be presented to and discussed with senior leadership within the UNAIDS Secretariat. Advice the UNAIDS Secretariat on effective strategies and tools to promote meaningful youth participation and leadership in the AIDS response at country, regional and global level for maximum impact. Foster partnerships between the UNAIDS Secretariat and key youth constituencies and movements, with an emphasis on connecting HIV to the broader health and development agendas. Shape and co-lead advocacy efforts together with the UNAIDS Secretariat to mobilize and inspire youth leadership in the AIDS response at country, regional and global level. At least two seats will be reserved for young people living with HIV and two seats will be reserved for young people among key populations at higher risk. On seat will be reserved for a member of the UNAIDS women living with HIV platform to ensure linkages. Up to five UNAIDS secretariat staff will be appointed as observers to ensure capacity building, mentorship and knowledge transfer. Members should be actively involved in youth-led or youth-serving organizations and have access to youth networks within their regions. This includes young people from networks of people living with HIV, key populations and student/youth organizations focusing on health, human rights and social justice-related issues among others. In addition to advanced knowledge of one of the primary languages of the region represented, advanced knowledge of English is essential for membership on the Advisory Forum. Members must also have consistent access to the internet in order to participate in the Advisory Forum meetings (see “Responsibilities of Members” below for more information). Members, in their roles both as Advisory Forum participants, are expected to uphold and promote a just, rights-based and evidence-informed HIV response. Meet online at least 4 times a year via an online platform specifically designed for the Advisory Forum. Contribute the experience and strategic thinking and diverse perspectives from the broader youth community working on AIDS. Contribute to the drafting and compilation of the annual summary analysis on UNAIDS’ engagement with young people. Be available for email discussion from UNAIDS Secretariat staff seeking advice from a youth-focused lens. Participate in an in-person meeting once a year, pending funding. Act with discretion on issues discussed within the Advisory Forum meetings, as sensitive, internal and sometimes confidential issues may be brought to the group for discussion. Membership on the Advisory Forum is not remunerated. However, UNAIDS will cover expenses related to in-person meetings, contingent upon available funding. Attendance of at least 75% of online meetings or teleconferences. Members who do not meet minimum requirements will be contacted to try to resolve any technical issues that may impede their participation, if possible. If UNAIDS does not receive a response from the member and/or if the member fails to improve participation, then the member will be removed from the Advisory Forum. Membership to the Advisory Forum will be for a two (2) year term per member. What are some of the strategies that you would use to share ideas and information with youth networks in your region? What are some of the strategies you would use to generate input and ideas from the youth networks in your region to contribute to the work of the forum? (c) Contact information for three references for work relevant to youth leadership, participation and/or HIV/Health/Development. Please send your complete application to Mikaela Hildebrand (hildebrandm [at] unaids [dot] org), with a copy to Nina Sun (sunn [at] unaids [dot] org) by 15 March 2013. Incomplete applications will not be considered. Young people living with HIV and young people among key populations at higher risk of HIV infection are particularly encouraged to apply. Once applications have been received, UNAIDS will run a selection process together with an ad-hoc working group of representatives of global youth networks, to choose the most suitable candidates based on the above-mentioned membership criteria. Are you interested in how sport can be used to support sustainable development? Do you believe in the value of international cooperation and working with other young leaders across the Commonwealth? Would you like to contribute to a Commonwealth-wide initiative and expand your networks and contacts in the sport and development field? An exciting opportunity exists to join a youth-focused working group being formed to support the promotion and coordination of Sport for Development and Peace (SDP) in the Commonwealth. This is a chance to input into key Commonwealth sport and development forums, increase your knowledge and understanding of SDP and network with other young ‘SDP’ leaders across the Commonwealth. Assist in the formation of an SDP sub-Committee of the Commonwealth Youth Council and establish the initial focus for this group. The working group is being formed on a voluntary basis for an initial one-year period and nationals of Commonwealth countries above the age of 15 and who will be under 30 at the conclusion of their tenure (i.e. March 2014) are encouraged to submit an expression of interest to be involved. Expressions of interest should include your current CV, including referees, and a creative, well-developed submission on how Sport for Development and Peace can contribute to ‘putting young people at the centre of sustainable development’. The deadline for submissions is Friday 15 March, with the intention to publish or display selected examples in relevant Commonwealth forums and platforms. Call for Entries:The Commonwealth Essay Competition 2013! The Commonwealth Essay Competition is the world’s oldest and largest schools’ international writing competition. For 2013 the competition is being run in partnership with Cambridge University Press and takes this year’s Commonwealth theme ‘Opportunity through Enterprise’. To download the competition leaflet containing information on topics, rules and prizes click here. 12pm BST, Wednesday 01 May 2013. For more information email competitions@thercs.org. The UN-HABITAT invites young people based in cities or towns from the developing world to apply for grants of up to USD 25,000. The application opens on the 15th of February 2013 and closes on April 15th 2013. To qualify for a grant, the project in question must be led by young people aged 15-32, and be based in cities or towns in developing countries. Grants will be targeted to the young people who need assistance the most, particularly disadvantaged youth in urban slums. Projects promoting gender equality, or involving partnerships with the government, the private sector or civil society are especially encouraged. In a press release, the agency announced that the Fund will for the fifth year in a row provide grants to projects led by young people aged 15-32 years who are piloting innovative approaches to employment, good urban governance, shelter and secure tenure. Small development initiatives are eligible for grants up to $25,000. These grants aim at promoting youth empowerment as the solution for better urban governance. Indeed, of the one billion slum dwellers in the world today, it is estimated that more than 70% are under the age of 30. These young people have few resources available to improve their own living. Interestingly though, there are many youth-led initiatives in slums and squatter settlements around the world that require support in their efforts to transform their communities. This has led UN-Habitat to reconsider the youth as drivers for change. Through this Fund, UN-Habitat embraces the belief that youth are a solution for sustainable urban development. The agency invites young people based in cities or towns from the developing world to apply for grants from the Fund. The application will open from February 15th 2013 to April 15th 2013. More information and details are available at www.unhabitat.org/youthfund. For more information regarding the 2013 call for applications, please go to; http://www.unhabitat.org/youthfund. The Open Society Foundations invite photographers to submit a body of work for consideration in the Moving Walls 21 group exhibition, scheduled to open in New York in the fall 2013. The Moving Walls exhibition series showcases documentary photography that highlights human rights and social issues that coincide with the Open Society Foundations’ mission. Moving Walls is exhibited at our offices in New York and Washington, D.C.
For participating photographers, a key benefit of the program is to gain exposure for their projects, as well as the social justice or human rights issues they address. In addition to a $2,500 honorarium, photographers receive their professionally produced exhibitions at the end of the exhibition tour in New York and Washington, D.C.
Each Moving Walls exhibit highlights issues or geographic regions where the Open Society Foundations are active. Priority is given to work whose subject has not been recently addressed in Moving Walls, and special consideration is given to long-term work produced over years of commitment to an issue or community. Work in progress may be submitted as long as a substantial portion of the work has been completed. Any emerging or veteran photographer who is working long-term to document a human rights or social justice issue may apply for Moving Walls. Photographers working in their home countries, women, emerging artists, and people of color are strongly encouraged to apply. The Open Society Foundations does not discriminate based on any status that may be protected by applicable law. Launched in 1998, Moving Walls has featured over 175 photographers. Over the past 14 years, we have been proud to support the brave and difficult (and often self-funded) work that photographers undertake globally in their visual documentation of complex social and political issues. Their images provide the world with evidence of human rights abuses, put faces onto a conflict, document the struggles and defiance of marginalized people, reframe how issues are discussed publicly, and provide opportunities for reflection and discussion. Moving Walls honors this work while visually highlighting the Open Society Foundations’ mission to staff and visitors. Deadline for submissions to Moving Walls is Tuesday, February 26, 2013. To apply, go to: apply.movingwalls.org. Young candidates are invited to apply for Rolex Young Laureates Awards 2014 to improve lives, or protect the world’s natural and cultural heritage. These projects have touched all aspects of humanity by expanding knowledge or improving life on the planet. The aim of the pre-application process is to enable interested individuals to present project ideas succinctly. For more than 35 years Rolex has honoured extraordinary individuals who possess the courage and conviction to take on major challenges. The Rolex Awards for Enterprise support pioneering work in five areas: applied technology, cultural heritage, environment, exploration and discovery, and science and health. Projects are assessed on their originality, potential for impact, feasibility on the candidates own spirit of enterprise. Each Young Laureate will receive 50,000 Swiss francs over a period of two years. In addition, Rolex ensures all winners receive access to its network of more than 100 past Laureates, as well as the benefit of international publicity through media coverage and the Rolex Awards website. The United Nations Alliance of Civilizations (UNAOC) has launched a new call for applications for the Youth Solidarity Fund which provides seed funding to outstanding youth-led initiatives that promote long-term constructive relationships between people from diverse cultural and religious backgrounds. The Fund links small scale and local work to larger movements for social and global change. The YSF supports the development of young peoples’ organizations and other means for their work to have an even broader and deeper impact and to be expanded. It was established to answer the calls for action made around the world by youth organizations since the creation of the UNAOC. Algeria; Angola; Bangladesh; Benin; Botswana; Burkina Faso; Burundi; Cameroon; Cape Verde; Central African Republic; Chad; Comoros; Côte d’Ivoire; Democratic Republic of the Congo; Djibouti; Egypt; Equatorial Guinea; Eritrea; Ethiopia; Gabon; Gambia; Ghana; Guinea; Guinea-Bissau; India; Iran; Iraq; Israel;Jordan; Kenya; Lebanon; Lesotho; Liberia; Libya; Madagascar; Malawi; Mali; Mauritania; Mauritius; Morocco; Mozambique; Namibia; Nepal; Niger; Nigeria;Pakistan; Palestine; Republic of the Congo; Rwanda; São Tomé and Príncipe; Senegal; Seychelles; Sierra Leone; Somalia; South Africa; South Sudan; Sri Lanka; Sudan; Swaziland; Syria; Tanzania; Togo; Tunisia; Uganda; Yemen; Zambia; Zimbabwe. The grant can be up to USD 25,000 per project. There is no minimum amount requirement; on average, winning proposals receive USD 20,000. Did not receive funding under YSF past editions or did not receive the UNAOC-BMW Intercultural Innovation Award. The deadline to apply for this fund is February 13, 2013, 23:59 New York City time. For more information, visit this link.